Maybe it was the 2014 Wall Street Journal article about how Parisians refer to everything from men's hats to Big Macs as "très Brooklyn." It could have been the subsequent New York Times trend piece about a Dubai-based clothing company that chose to name itself Brooklyn Cotton Company in the interest of authenticity. 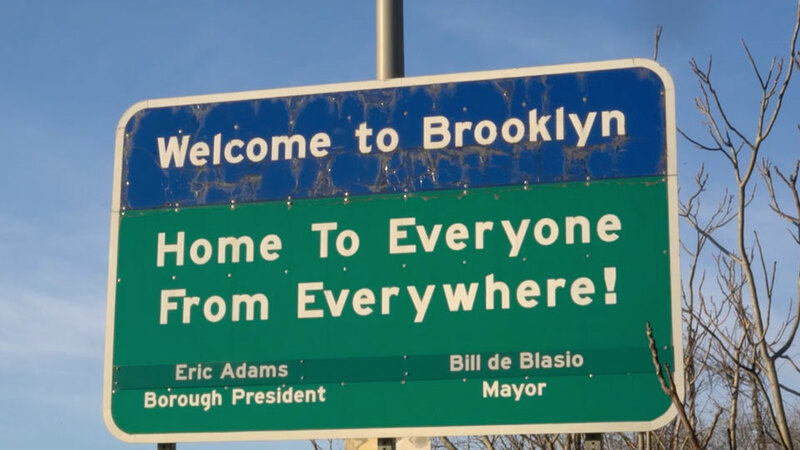 Perhaps it was the CNBC piece that attributed "a rare form of capitalist magic" to the very word Brooklyn. At any rate, one thing is clear: New York City's most populous borough is now an international brand … and a very valuable one at that. No man has more effectively served as an unofficial spokesperson for the city within a city than director Spike Lee. And so, his ad agency, Spike DDB, which is based in Brooklyn's Dumbo neighborhood, was the perfect shop to work on a project summarizing lessons marketers can draw from the city's rise. Brooklyn Made is an effort by the borough's Chamber of Commerce to certify goods produced in the area, and Spike DDB collaborated with the group on the 10-minute film. AdFreak spoke to Victor Paredes, managing director of Spike DDB, about how the project came together and what marketers and entrepreneurs can learn from it. AdFreak: How did this project come about? Victor Paredes: I recently attended an [Association of National Advertisers] conference, and the exit survey asked what sort of content we could see ourselves creating in the future. This came at a time when we [at Spike DDB] were considering how everything we see happening in Brooklyn is central to our agency's DNA, just like our connection to DDB. When you have a name that's being co-opted by brands wanting to call themselves "Brooklyn," from Tokyo to Dubai … Brooklyn is a brand in a real way. If we were to explore the development of that brand, what could marketing at large learn? What role did Spike himself play in developing the work? As CEO of our company, Spike was intimately involved in our conversations about what we were designing and the types of businesses we wanted to speak to; he also participated in the film. Spike was also instrumental in reinforcing the ideas of cultural competence and the importance of community. What do you mean by "cultural competence"? Brooklyn has been incredibly diverse for decades, if not centuries. It has constantly been home to an influx of different immigrant groups and religous groups, all of whom learned to live alongside one another while also maintaining their identities. In Brooklyn, you can see something as interesting as an African American man walking into a Chinese fast-food place to order tostones … and getting the order right! Sometimes when marketing tries to address matters of diversity, we do so by overall vitrue of inclusion. But that's only surface-level; the future is about seeing things through different lenses in the interest of greater connectivity and innovation. The press release also mentioned "growing with a community versus selling to a community." Is that an elaboration on the same theme? When speaking to the people at Brooklyn Brewery, we learned how they maintained their image while reaching the quintessential scale we all talk about in marketing. They developed their brand with a focus on respect for their community and the space they were occupying. Brewing has a rich history in Brooklyn prior to Prohibition, and they used these legacy processes to develop what became Brooklyn Brewery. When we asked them about expanding internationally, they spoke about how they don't just show up and say Brooklyn has arrived … they learn and understand where they can contribute. This led them to open another brewery in Stockholm as they grow into an increasingly global brand. How closely is Brooklyn tied to the spirit of Spike DDB?